He he, Robert wrote about the new personal search engine Spock and lo! 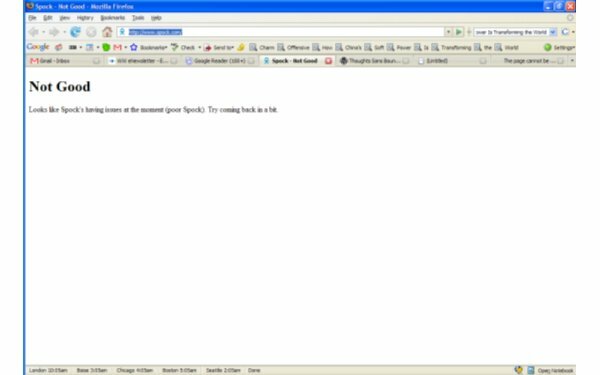 the site goes down with a zillion hits. « Is the Pownce website down?